Congregation Shaaray Tefila is an inclusive and participatory congregation within the Conservative movement. We welcome all who seek a connection to Jewish life. We are devoted to making Judaism meaningful and accessible within our community. We strive to inspire individuals and families to explore their involvement with Judaism, G-d, Israel, and lifelong Jewish learning. We aspire to conserve and transmit Jewish faith in the belief that Jews share not only a religion, but also language, traditions, culture and ties to Israel. Our spirited traditional Shabbat services offer intimate opportunities for participatory worship, as well as learning, reflection and spiritual growth. They create a feeling of belonging and caring to strengthen the connections within our close-knit community. These services help us extend Sabbath and festival celebrations to our homes. 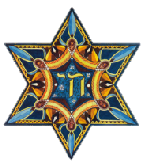 Our synagogue is a house of prayer and a home for all. We offer many opportunities to get involved. In addition to Shabbat and holiday services, we have classes, programs, life cycle events and volunteer activities throughout the year.